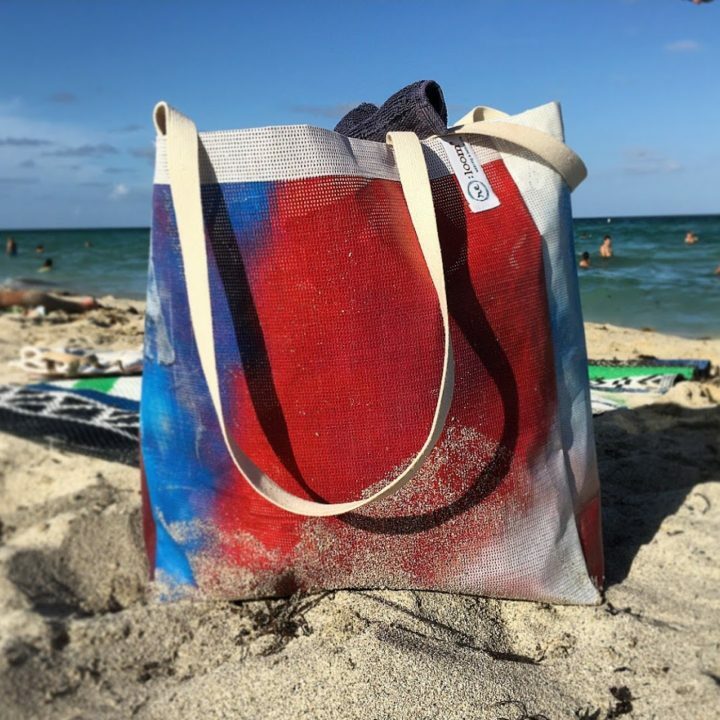 Shop with meaning this holiday season. 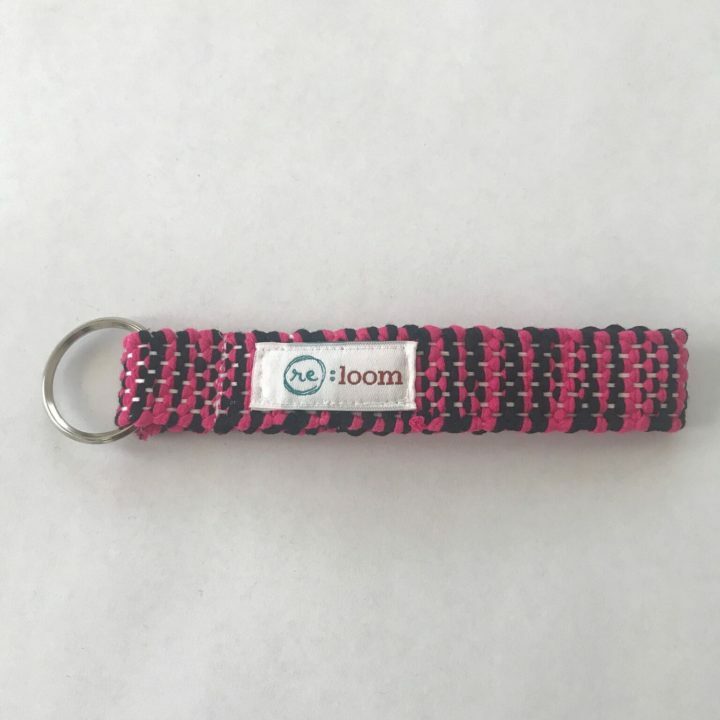 re:loom products will be available at several upcoming local markets. 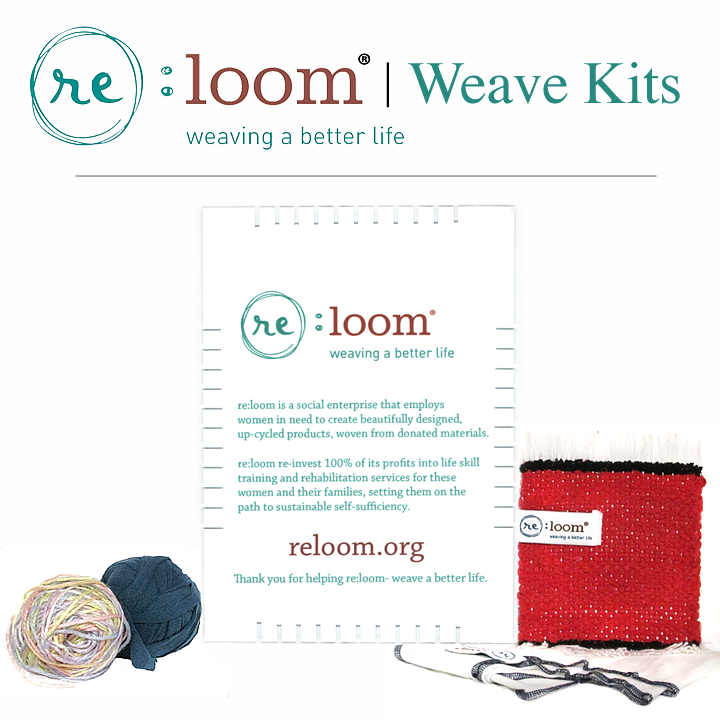 Please consider purchasing re:loom items and make a difference in a homeless women’s life. 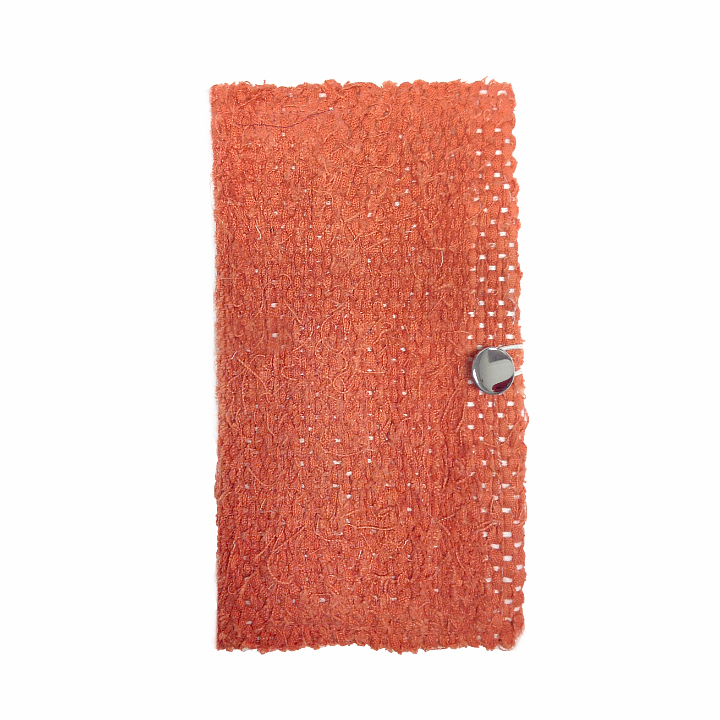 All re:loom pieces are handwoven in Decatur from donated recycled clothes and materials. 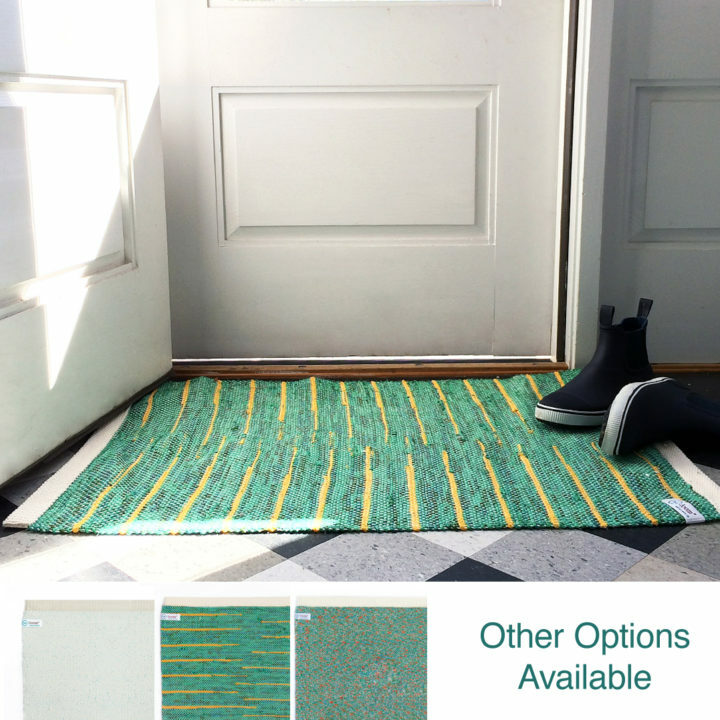 Click here to listen to Lisa Wise’s recent radio interview discussing re:loom – weaving a better life and the homeless/housing programs of Initiative for Affordable Housing. 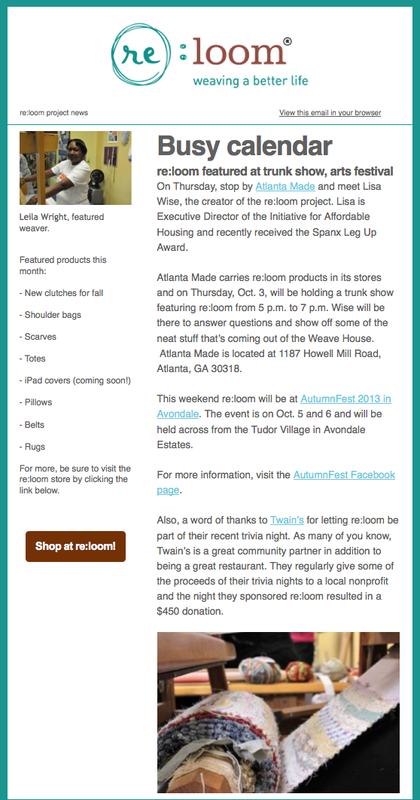 On Thursday, stop by Atlanta Made and meet Lisa Wise, the creator of the re:loom project. Lisa is Executive Director of the Initiative for Affordable Housing and recently received the Spanx Leg Up Award. 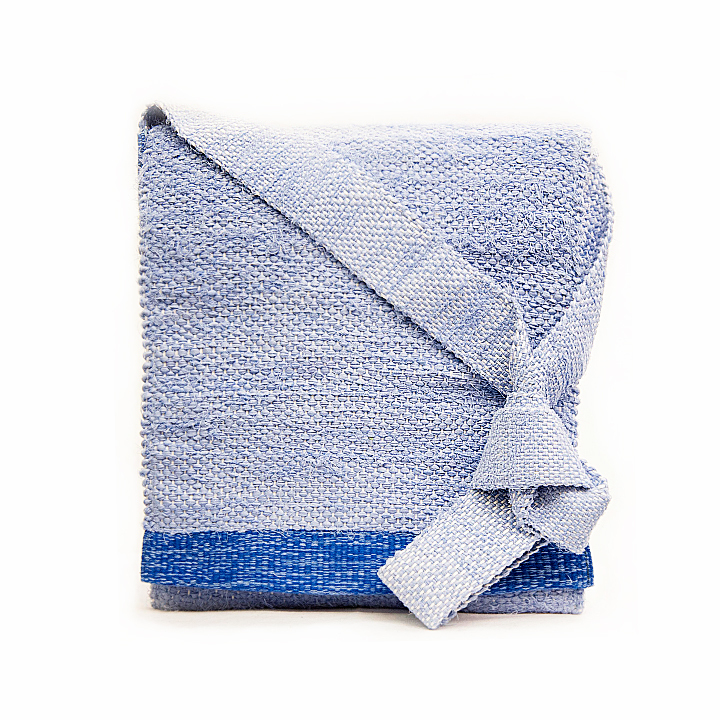 Atlanta Made carries re:loom products in its stores and on Thursday, Oct. 3, will be holding a trunk show featuring re:loom from 5 p.m. to 7 p.m. Wise will be there to answer questions and show off some of the neat stuff that’s coming out of the Weave House. Atlanta Made is located at 1187 Howell Mill Road, Atlanta, GA 30318. This weekend re:loom will be at AutumnFest 2013 in Avondale. The event is on Oct. 5 and 6 and will be held across from the Tudor Village in Avondale Estates. For more information, visit the AutumnFest Facebook page.